I have been writing poetry and stories for as long as I can remember in school and knew I wanted to write my for the rest of my life – both as a career and as a hobby. I studied Media in Writing at Macquarie University and have enjoyed being able to use my writing skills and passion both professionally and in my spare time. I began to write my first two novels at 27 – 5 years ago. Hosts of Erravilla and The Guardian’s Curse are my first two novels and the first two in the trilogy series: Keys to Erravilla. I am hoping to publish The Guardian’s Curse in 2015. I have really enjoyed the journey so far writing these two books, exploring different characters, eras and settings – and finding the challenges in writing about some places I am yet to visit myself. I have set most of the scenes and locations in parts of the world (including the Blue Mountains where I live) in places I have loved travelling to. The main female characters in each book April, an Australian journalist and Bronte, a French Government Agent, have quite different strengths to each other and are both on a quest to find answers to their past, learn about themselves and learn to accept love in their own lives as part of the healing process. I have also enjoyed following through with my lead male, Lucas – a British film star, from the first book to the second as he explores the importance of career, fame and fortune, along with family, love and heartache, as he travels into the far reaching dangers of South American tribal land searching for answers to a series of mythical jewellery pieces he has found. Each of these characters must find their own answers while battling a common enemy who will stop at nothing to see them all torn apart and use the mystical jewels for themselves and ultimate destruction. This series could be classified as Young Adult/New Adult or General Fiction, as it incorporates many different elements and genres, including historical, mystery and romance of course! Young Adult caters for a wide range of readership and generally has a protagonist between the ages of 18 and 25 (April). In The Guardian’s Curse though, Bronte and Lucas are both about 30, which puts this novel into a General Fiction age range. I have loved watching the wide range of my readers all enjoying these books regardless of age (16-80!) While the main characters do not time travel, a portion of each of the books are set in the late 1800’s, transporting the reader to another time and place completely. I am a huge history buff and really enjoyed experimenting with my own time travel as I wrote this portion of the books. These historical sections have their own story lines and relationship issues to walk through, while tying themselves up with the modern day characters through mystical elements. Hosts of Erravilla is my first published novel and received its very first review with a 5 Star Rating through well-known American book reviewers Readers’ Favorite. 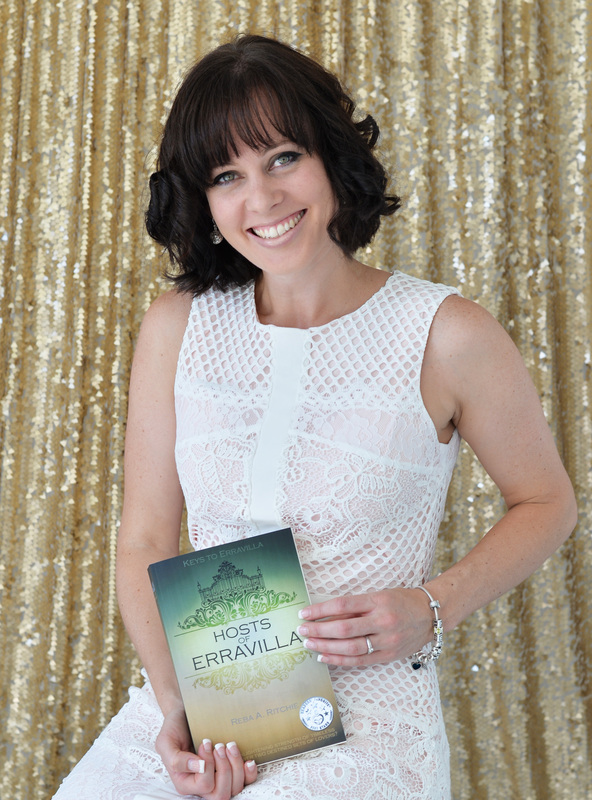 Hosts of Erravilla was also a short-list nominated finalist in the category of Best New Author through AusRomToday’s Reader’s Choice Awards. Will the past and present hosts of Erravilla help to heal April’s past and hold the keys to unlocking her future? Hosts of Erravilla is an enduring journey of self‐discovery, love and forgiveness. April Falls is a fresh Australian journalist desperate to make her mark on the world as an author, while dealing with the sudden death of her fiancee. Battling with the ghosts of her past from choices she made as a teenager and a seemingly ill‐fated existence, April’s life presents her with the opportunity to interview a young British movie star. Moving to England to trail the sensation at his homestead, Erravilla, April finds herself co‐existing in a world she once thought untouchable. Living amongst a new family and reality, April’s career is also launched to new heights, until she discovers that she is entwined in a sinister plot against the current hosts of Erravilla. After finding a journal and a mystical set of rings at the house which send her life and heart spinning further out of control, April must triumph over time to discover herself and love all over again, learning from the mistakes of those living past and present, to fight for the lives and futures of those she cares for most.